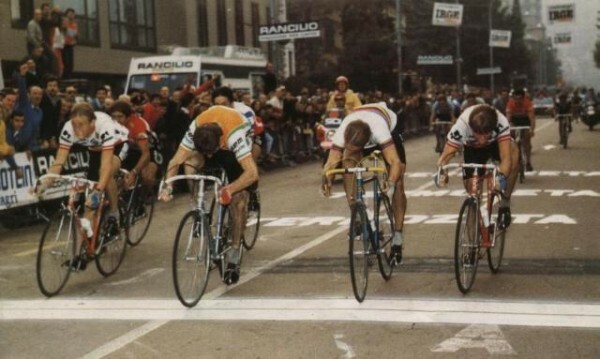 What a shot of the Tour of Lombardy 1983 finish: Left to right; Adri van der Poel (3rd), Sean Kelly (1st), world champion Greg LeMond (2nd). During the week, three-time Tour de France winner Greg LeMond posted a message on his Facebook page about a race from thirty years ago, where he said he had “lost the battle, but won the war”. The battle he was referring to was the 1983 Tour of Lombardy, and the war was the Super Prestige Pernod Trophy, a competition that was the forerunner to the World Tour. Coming into the Tour of Lombardy, the last big race of that year, LeMond was leading the standings in the season-long competition, ahead of Giuseppe Saronni, Jan Raas and Seán Kelly. And all four were still in contention to win it. If one of the other three was to win the race with LeMond finishing outside the top five, then that individual could overhaul him. In that era, the fight for the ‘Pernod’ could often influence how some of the later season races panned out, and it was held in a lot higher regard than the current World Tour. Kelly was 27 years-old at that stage, and already some journalists were saying that he didn’t have what it took to win a big classic. The racing was aggressive from the start, as there were attacks on the first climb of the day, the Intelvi, and LeMond already looked to be in trouble. He managed to chase back to the ever-diminishing lead group though, which also included Stephen Roche and Seán Kelly. However, one of the other favourites, Giuseppe Saronni was also struggling and he was also dropped by the lead group and wouldn’t get back on. On the final climb of the day, the San Fermo della Battaglia, Roche helped to control the group and nullify any attacks. This meant as they descended towards the finish in Como, the small group was all still together. Coming into the last kilometre, the Italian Francesco Moser tried to go clear first but his attack came to nothing. It was then the turn of former World Champion, Hennie Kuiper to try for a long sprint. Kelly and Moser bridged up to him. Kelly came off Moser’s wheel and opened up his sprint. LeMond and Adri van der Poel were closing fast on him, and when they crossed the finish line, nobody could tell who had won it was so close. It had to go to a photo finish. The commissaires reviewed the photo, and after an anxious few minutes they declared Kelly the winner, with LeMond in second and Van der Poel third. 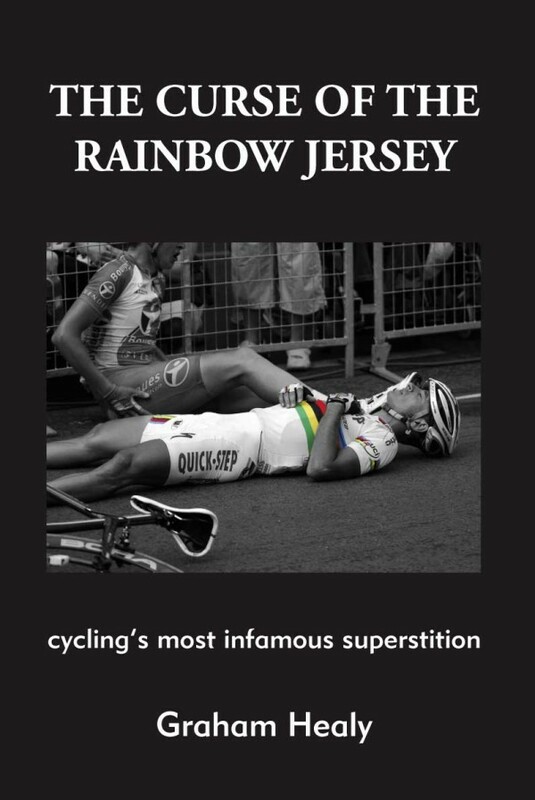 Kelly had won his first Monument and proved his critics wrong, and Greg LeMond had done enough to win the Super Prestige Pernod. It had arguably been the closest finish of the Tour of Lombardy ever, and it meant Kelly had gotten the monkey off his back regarding not winning a Monument. The following season he would follow LeMond in winning the ‘Pernod’, the first of three consecutive wins.